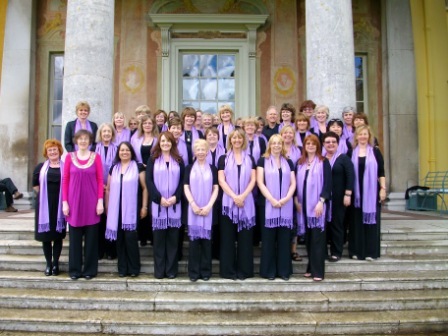 The choir was founded in 2009 by Carol Canning, a former Swingle Singer and experienced vocal arranger. 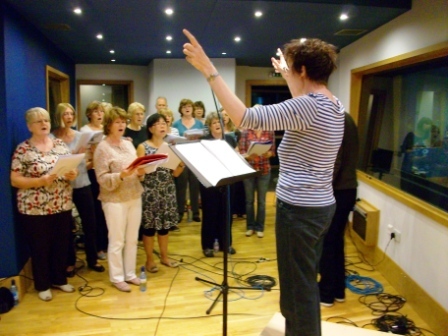 All music is especially arranged for the choir by Carol, drawing on her vast experience as a professional singer and arranger. As an arranger she has written for The King's Singers, BBC TV and worked with people such as the late Sir George Martin. Carol has worked all over the world as a singer in many styles from jazz at Ronnie Scott's to classical projects at the Royal Opera House. We try to put on at least one concert each term and every now and then go to the recording studio to record a few songs for fun. So far each year we have performed at West Wycombe Park during the summer which is a beautiful venue and we perform regularly at the Thame Barns Centre plus various venues in the Oxon/Bucks area. Everyone is welcome. You don't have to read music or have sung in a choir before. You just need a good pair of ears and be on the ball! 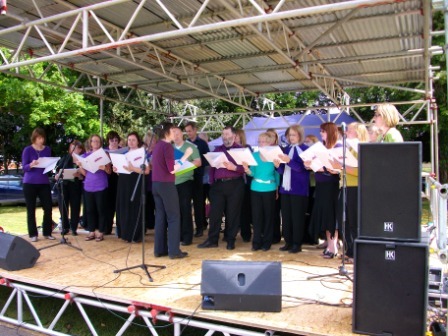 The choir goes from strength to strength providing an outlet for those who do not want to go down the 'classical' route. We have fun in rehearsals but also try to keep raising our game! Songs are sent out via email - and can be in the form of a score or word sheet depending on how involved the arrangement is. Most of the choir are non readers. Rock, pop, jazz, musicals, nostalgia, country and even tango! You can buy 4 session vouchers for £39.00 or it is £11.00 if you pay as you go for each session. You use 1 voucher per session and if you can't come for some reason one week you don't lose out unlike some choirs where you have to pay for the whole term in advance and there are no refunds for sessions you miss. If you want to try out the choir you can come along and join in. Your first session will be free.